Lively main street pubs and bars, chilled beach bars, cocktail bars and wine bars with a view, there's every style and theme you can think of on Samui and they are plentiful in the tourist hubs of Chaweng, Lamai, Bangrak and Fisherman's Village. With not quite as many bars, Mae Nam is another great spot with main street pubs and beach bars with a chilled vibe and not as many tourists. 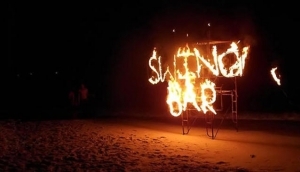 We've compiled a list here of the best bars and pubs around Samui.